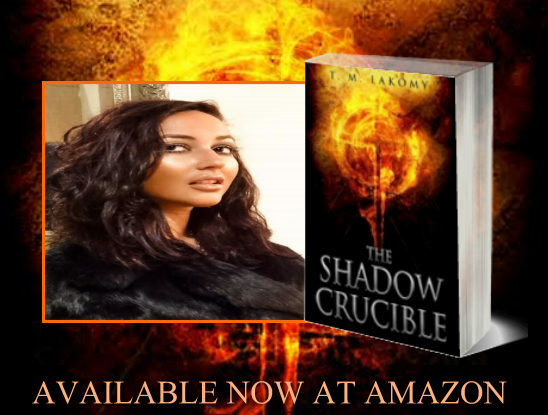 We invite you to Tamara Lakomy's THE SHADOW CRUCIBLE: THE BLIND GOD Book Blast! Please leave a comment to let Tamara know you stopped by or share this page through your social networks! In a world where angels, demons, and gods fight over the possession of mortal souls, two conflicted pawns are ensnared in a cruel game. The enigmatic seer Estella finds herself thrown together with Count Mikhail, a dogmatic Templar dedicated to subjugating her kind. But when a corrupted cardinal and puppet king begin a systematic genocide of her people, the two become unlikely allies. Taking humanity back to their primordial beliefs and fears, Estella confronts Mikhail’s faith by revealing the true horror of the lucrative trade in human souls. All organized religions are shops orchestrated to consume mankind. Every deity, religion, and spiritual guide has been corrupted, and each claims to have the monopoly on truth and salvation. 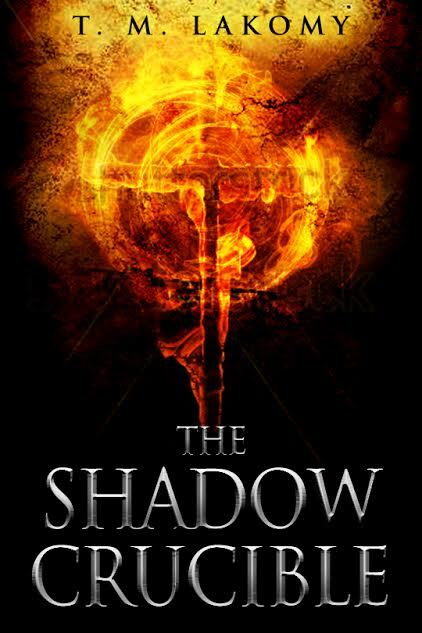 In a perilous game where the truth is distorted and meddling ancient deities converge to partake of the unseen battle, Estella unwittingly finds herself hunted by Lucifer. Traversing the edge of hell’s precipice, Estella and Mikhail are reduced to mere instruments. Their only means to overcome is through courting the Threefold Death, the ancient ritual of apotheosis—of man becoming God. He seethed with indignation as he confronted his reflection. Rasping with rage and flexing his fingers impotently, he took in his bruised and broken face. This mirror was the only vanity he was allowed, and now it only offered him the stark knowledge of his ugliness and weakness. Livid, he smote the mirror with his fist. It shattered as he let out an incensed cry, the fragments flying across the floor, glittering sharply in the dimming lights. He looked down at the collage of broken glass and paused, numb with anger. The shards of the mirror glittered and vibrated, reflecting numerous eyes. Then they slowly began to levitate, all the tiny fragments splintered across the room gathering together and reforming. Swiftly they became whole again, and the mirror floated in the air eerily toward the cardinal. Within the reflection he no longer saw himself, but another being gazing back at him. Lost for breath, he gaped in bewilderment, unable to form words. The being had the fairest of all faces. Beautiful, with an aura of inexorable grace, it had resplendent, shimmering wings—pair upon pair of them in varied iridescent hues. The countenance observed him with a soft smile, measuring him with his intoxicating, lucent blue eyes. “Do you know who I am, old man?” the mirror asked him blithely. The cardinal was immediately enraptured, but could feel the cross burning on his neck. “Take it off and it will not sear your skin,” the angel remarked mildly, his limpid blue eyes gazing lovingly upon the cardinal. The cardinal, like a man too deeply drunken to think, brought his hand to his neck and ripped the cross thoughtlessly off and cast it away. “That is better now, isn’t it? Always bearing the cross. Well, he carried his cross and now he wants the whole world to carry it with him . . . how truly selfish.” The voice, though laced with reproach, was heartrendingly sweet and full of understanding and promise. It rang like silver bells. The cardinal’s mouth hung open indecorously, and he found himself nodding his head in agreement with the angel’s words as his fear began to dissipate. “I do not want you to carry this cross, this heavy burden of debt,” the angel continued. “This false salvation you were peddled is a lie. I, on the contrary, want you to be free, liberated from your thralldom. The earth is your inheritance to rule over as a god, like you were promised. And yet they have deprived you of your freedom. My heart grieves for you,” the angel sympathized, his voice laden with unquenchable sorrow. As the angel spoke, the mirror began to ripple like molten silver, and he emerged from it, as though pushing through a translucent shroud. Robed in white flowing garments, he grasped a long spear in his left hand pointing it downwards, the bitter tip glistening coldly. Standing before the cardinal revealed in his full glory, he smiled fully—but the warmth never reached his detached, frosted gaze. “I want to liberate you from your thralldom,” he said. “I have watched over you all, my tender flock. I am Lucifer, the morning star, the first to greet you with my love into this life, and the last to claim you on my dark stallion of death. I have come to free you.” His persuasive voice was soothing and nurturing, like a gentle river rippling mildly over soft bedrock. The cardinal found himself in a daze of awe, and within him woke his longing for power and lust for dominion. “Come to me, let me free you, and we shall destroy the Twilit world that has robbed you of the gifts that you so deserved.” The fatherly voice of the angel was indignant yet gentle, and he beamed at the cardinal who nodded back eagerly. “Let me into your heart, then. Lead me into your house, in this false edifice erected in the name of God, and let us together find the lost sheep in the house of God. I am his true son, after all, prince of the world.” He glided towards the cardinal, his numerous nacre wings extending into the chamber. They shed their own pearly light, and it seemed he floated like a silver vision. The angel knelt beside the cardinal, gazing into his watery eyes. “Let me into his house.” The voice was slightly more pressing now. The cardinal, dazed, nodded in agreement. With a satisfied smile, the angel touched the cardinal’s chest with a slender finger, right at his heart, and breathed over him. The cardinal groaned, falling instantly asleep. The angel then shifted like a blurring image, colors melting and running, twisting like molten glass into a murky mess of shadow and dirt-colored fumes. The gleaming wings fell to the ground, losing their feathers and rotting instantly. Now instead of the radiant angel, there stood a hooded and cloaked figure, emanating death. Like a black hole, it sucked in all the light around him, exerting a fearsome pull. The light from the candles swirled and were drawn into him, as though he were a gasping sinkhole. The lights that weren’t drowned out flared in his presence, then guttered as he walked towards the discarded cross lying dully on the ground. With his foot he trampled it into the ground. Then the lights went out and laughter resounded. It echoed through the abbey walls, shaking it to its foundations until all the lights within went out, and all the icons fell to the ground, dashed down by something far more sinister than the raging gale outside. Tamara Lakomy is British born but grew up in North Africa during troubled times. She resides in London. She studied archaeology and became enamoured with the shamanistic practices of indigenous people. She is an author and poet who seeks to challenge our notions of reality, and see life with a different perspective. 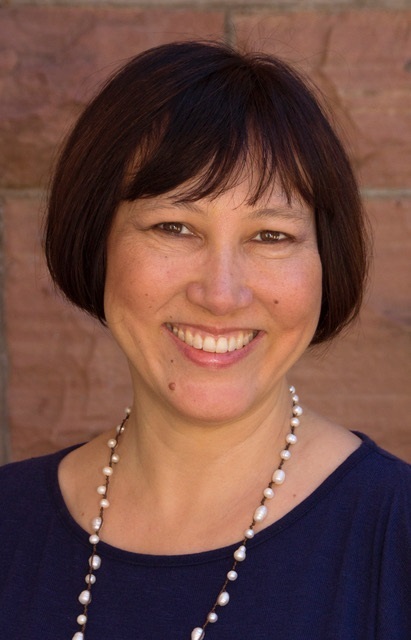 She works in East Africa with indigenous tribes studying the origins of mankind and the salient golden thread in the tapestry of humanity's beliefs. Lauren Joichin Nile introduces what she believes is humanity’s racial bottom line with a compelling account of her personal experiences growing up in 1950’s and 60’s segregated New Orleans. 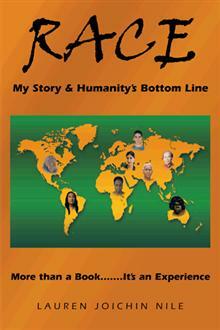 In so doing, she posits what she believes is humanity’s universal racial story. Lauren explains how starting out from Southern Africa, fully formed human beings, over thousands of years, walked out of Africa, populated the entire rest of Planet Earth, and over 2,000 generations, physically adapted to their new environments, gradually taking on the appearance of the many races of modern-day humanity, making all of us literally one, biologically-related human family. She then provides an abbreviated account of some of the most significant events of humanity’s racial history and an explanation of how that history has affected the American racial present. 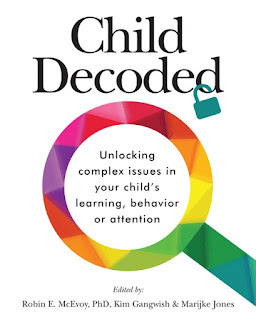 She also analyzes a number of controversial topics, including whether there are truly superior and inferior races. Finally, Lauren shares what she believes are the specific actions that humanity must take in order to heal from our wretched racial past, realize that across the planet, we all truly can love one another and as a species, walk into a wiser, more empathetic, compassionate human future. 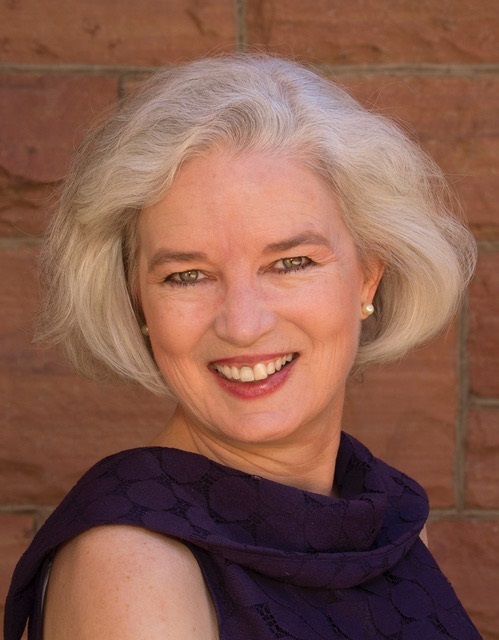 Lauren Joichin Nile is an author, keynote speaker, trainer and licensed attorney who specializes in assisting organizations in increasing their emotional intelligence, compassion, and productivity. The goal of her work with organizations is to help create environments in which understanding and kindness are valued and as a result, every person is equally welcomed and uniformly appreciated irrespective of all demographic differences. The goal of Lauren’s speaking and training in the greater society, is to help the human species grow in both wisdom and compassion. Hot off the presses! 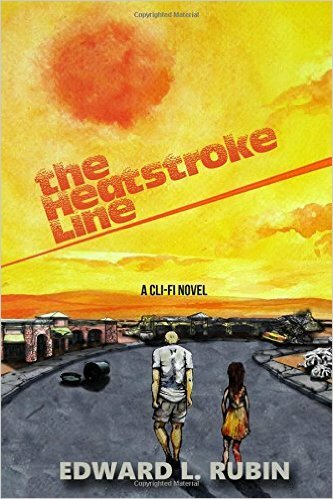 THE HEATSTROKE LINE by Edward L. Rubin is available now! Nothing has been done to prevent climate change, and the United States has spun into decline. Storm surges have made coastal cities uninhabitable, blistering heat waves afflict the interior and, in the South (below the Heatstroke Line), life is barely possible. Under the stress of these events and an ensuing civil war, the nation has broken up into three smaller successor states and tens of tiny principalities. When the flesh-eating bugs that inhabit the South show up in one of the successor states, Daniel Danten is assigned to venture below the Heatstroke Line and investigate the source of the invasion. The bizarre and brutal people he encounters, and the disasters that they trigger, reveal the real horror climate change has inflicted on America. They were in some sort of garage, with several other vehicles and various pieces of equipment scattered around. The two men who stood beside them, watching, were the ones who had taken him out of the auto-car, one white, one black, both very big. Three people approached from a doorway to Dan’s right. In front was an attractive woman with blond hair, wearing an elegant leopard print dress and the long, pointed shoes that were the latest fashion. Behind her stood a man and a woman, both much bigger, and dressed in work clothes like the two men who were guarding them. The woman in the leopard dress looked at her wristlink, then at Dan and Stuart, and smiled at them in self-satisfied manner. She motioned to the woman beside her and then to one of the two guards, and they led Stuart, still complaining about his arm, through the doorway they had come from. Then she turned toward Dan and motioned to the man beside her and the other guard, who grabbed Dan’s arms and started to lead him toward the same doorway. One of the men let go of Dan’s arm, grabbed his cheeks to force his mouth open, and plunged a plastic gag into it. Dan felt himself choke and struggled for breath. The gag had a slightly sour, greasy taste. Then both men grabbed his arms again and led him through the doorway. Dan suddenly felt an overwhelming sense of dread, stronger even than he had felt when the men first pulled him out of the car. Beyond the doorway was a narrow corridor with dirty green walls covered with beads of water. Clearly, they were underground. The men lead Dan through the first opening along the corridor and into a small, dimly-lit room with three chairs facing a transparent plastic window. Through the window was another room, painted grey and brightly lit. Dan was forced into the chair at the back of the room, his handcuffs were removed and his arms were strapped to the armrests, and then, to his increasing dread, some sort of metal device was placed over his head and tightened so that he was forced to look straight ahead into the room beyond the window. He felt saliva dripping down his chin. The woman in the leopard dress came in, sat down in the chair placed to his left and closer to the window, looked at him up and down, then crossed her legs and turned to the window. A moment later, Stuart was led into the brightly lit grey room by his two guards. All his clothes except his undershorts had been stripped off. He had always been slender, but now he looked emaciated and pathetic. He was obviously in pain. Dan felt tears coming to his eyes despite his own discomfort. The woman turned to him, smiled, and then turned back to the window. By now, one of Stuart’s handcuffs had been removed and re-attached to a metal loop that was built into the wall. The two guards left and Stuart was alone in the room, one arm fastened to the wall, the other hanging limply at his side. With a sense of horror, but not, for some reason, of surprise, Dan saw a dark shape fly through the air and attach itself to Stuart’s thigh. It was a biter bug, shiny black and nearly three inches long. Stuart jumped and writhed, turning one way and the other, but Dan didn’t need to see clearly to know what was happening. The bug’s six legs had plunged immediately into Stuart’s skin; now its two sharp mandibles, each half an inch in length, were folded under its body, tearing his flesh. Blood welled up from under the bug, and as it moved down his leg, it left a trail of raw, bleeding flesh behind. Stuart clawed weakly at the bug with his other arm, which was obviously disabled. That didn’t matter because Dan knew that tearing a biter bug off your body was virtually impossible. As soon as you started, its legs dug deeper, and you would wind up tearing out a chunk of your own flesh, which was just as painful, and somehow more awful, than letting the bug continue for the half minute or so until it was satisfied and flew away. Dan wanted to yell. He heard the words “Why are you doing this” form in his throat, but he couldn’t speak. He tried to lift the chair to get out of the room, to smash the window, to kill the woman sitting calmly next to him, but the chair was bolted to the floor. He couldn’t move -- he couldn’t even look away. The first bug was gone, leaving an oozing wound behind, but two more bugs had been released and attached themselves to Stuart’s body, one to his chest and one to his arm. Helpless and in agony, he was trying to pull away from the wall and he was screaming. No sound came through the window and the silence, compounded by Dan’s own inability to speak, made the scene somehow more horrible. Dan closed his eyes. If there was nothing else that he could do, he could at least deny this woman the satisfaction of making him watch his friend be tortured. Beneath his sorrow, fury and horror, he sensed another feeling, some indefinable nausea that lay deep inside him. After a few minutes, he felt compelled to look again. Stuart had collapsed and was lying against the wall. There were four or five bugs on his body now, and one was on his cheek, moving toward his eye. He was still writhing, but had also begun to shake compulsively. Blood was oozing from bug tracks on his arms, legs and stomach, covering his body and dripping onto the floor. He was going into shock; they were killing him. Dan had never felt so angry or so powerless. It was hard to believe that this was real, that Stuart was really dying, that in a few more minutes he would cease to exist. The bugs flew away, one leaving a pool of blood in his eye socket, and then three more, five more, came flying in. Dan closed his eyes again. They were wet with tears; he felt himself sobbing and gasping for breath through the greasy gag. Suddenly, there were people around him, three or four. They released his head, unstrapped his arms, stood him up, handcuffed his arms behind him again, turned him around and dragged him out into the corridor. In the process, he caught a glimpse of Stuart’s prostrate, motionless body through the window, covered in blood, with bugs still crawling over it. Once in the corridor, he was dragged a short distance, through an opening, and into an even narrower corridor. One of his captors opened a door and he was pushed into a brightly lit grey room. The steady sense of dread that Dan was feeling congealed into panic. They were going to set the bugs on him the way they did to Stuart. They were going to kill him. He was going to die. His gag was removed, his handcuffs were opened, and then one arm, still cuffed, was attached to a metal loop in the wall, just the way that they had done to Stuart. Then all the guards left the room and closed the door behind him. He was alone. In front of him was a large plastic window, dark and blank. The woman was sitting behind it, he was certain, and she was going to watch as the biter bugs killed him. He heard the unmistakable, high pitched buzz of a biter bug flying toward him through the air. Instinctively, he knew what to do—he had been trained in Mark Granowski’s department before he went to central Texas for a research project. The bugs flew in straight lines when they were attacking. He waited until it almost reached him, then slapped it with his free hand. It fell to the ground with a sickeningly solid thud, but right side up. Black and huge, it crawled a few inches, its long mandibles opening and closing. Even though he had his shoes on – he realized that they hadn’t taken off his clothes – he knew there was no point trying to crush the bug; its carapace was much too hard. After a few moments, the bug’s wings started vibrating, it rose up in the air, and flew toward him once more. Again, he slapped it and it fell down right side up. The hideous thing crawled a few inches and rose up again. Once again he slapped it and it thudded to the ground, right side up again. Its wings vibrated, it rose up and flew toward him, he slapped it hard and it fell down again, this time on its back. Immediately, he stamped his foot on it and felt the satisfying crunch as its body cracked beneath his shoe. But what was the point, he asked himself a moment later. They could release another bug, five more, fifty more. The pain would become worse and worse and he would die, just like Stuart. No, not just die -- the world would end, there would be nothing. The roaring in his head returned, the sense of dread and disbelief. It couldn’t be. He heard himself bellowing “No, No, No, No.” There was a high pitched buzz behind him, and as he spun around, the biter bug slammed into his upper arm. He felt its feet dig in, and then the burning, searing pain as its huge mandibles, now tucked under its carapace, began to tear his flesh. He could only stare at it in horror. Blood rose up under it and turned his light blue shirt sleeve sickly purple. The bug moved slowly down his arm, leaving a track of bloody, torn up flesh, visible inside the inch-wide tear in his shirtsleeve. The pain was unbearable. He couldn’t believe that the twenty five or thirty seconds that they bug was on him seemed so long, and he felt a moment of relief when it finally flew away, dripping blood behind it. He had to organize his thoughts, there was something that he had to do, but what was it? How could he stop existing? Would he live somehow, because of his research? Would he live in the memories of Josh, Senly, Michael and Garenika? But he wouldn’t be here, there would be no world for him. An image, a memory, suddenly came into his mind. He was walking across the University of Utah campus with Garenika. They had just met, he had said something to her and she laughed, in a soft, silvery tone, and he wondered if they would end up having children together. Now he saw his home in Arches Park City. His father was reading to him, his mother came into the room with the poster of the Milky Way, the one he had wanted and that hung in his room when he was growing up. After a few minutes, he realized that no more bugs had come. A sudden surge of hope passed through him. He was afraid to even form the thought, afraid that it would somehow preclude the actuality. But the door opened, one of the guards came into the room with a suppressed smile on his face, removed the handcuff from his wrist, removed the other part from the loop on the wall and walked out with it. The lights in the room suddenly dimmed. Dan sank down onto the floor. He took the bottom of his shirt and pressed it against the wound on his arm, as much to relieve the burning pain as to staunch the flow of blood. He became aware that he was sobbing, but whether it was with relief or anguish was impossible for him to say. Several hours later, the door opened, and before Dan could react, a tray with clothing, a plate of food and an inflatable mattress was pushed into the room. The door closed again. The clothing was an ordinary, open collar white shirt, a pair of dark brown trousers and dark green undershorts. Dan became aware that the front of his own pants was wet and realized he had pissed himself when the bug attacked him. Next to the clothes was a large blue, disinfectant bandage. Slowly and deliberately, Dan stripped off his clothes, wrapped the bandage around his arm, which immediately felt a bit better, and put on the clothes he’d been given. Looking around, he saw an open hole in the opposite corner of the room, walked over and peed down the hole. He went back to the tray, took a bite of one roll. All at once, he felt nauseated, ran to the hole and vomited. He couldn’t stop; he vomited repeatedly and convulsively, long after there was anything left in his stomach. The roaring in his head returned, he felt intensely chilled and his body began shaking uncontrollably. After what seemed like a long time, the shakes and chills subsided, but they were followed by a slowly intensifying fear. Suppose they turned off the lights and began to fill the room with water. He could feel himself being forced to the top of the room, feel his head pressed against the ceiling when only a few inches of air remained, feel the water filling his nose and mouth as he gasped helplessly for breath. Suppose the walls of the room began to close from both directions, pressing against his body until he was trapped tiny, pitch black space. Suppose they raised the temperature until searing air burned his lungs with every breath as he began to suffocate. Dan tried to calm himself. He wondered if he should use Jiangtan –why hadn’t he thought of it when he was watching Stuart die -- but somehow didn’t think that it would help. Had the bread been poisoned? That wouldn’t make any sense. Clearly, they meant to keep him alive. Were they holding him for ransom or as a hostage for some political purpose? In any case, once the Mountain American government found out about it, they would arrange for his return, he reassured himself. He decided he should try to sleep; he was obviously exhausted. He inflated the mattress, lay down, and closed his eyes. The biter bug wound on his arm was still throbbing and his head ached. He tried to think his college days, of his evenings with friends, of nineteenth century novels, of Garenika, but it all seemed thin and pointless. Finally, his thoughts returned to his early fascination with astronomy, and he pictured himself touring the moons and planets of the solar system and then venturing out among the undiscovered worlds that orbited the distant stars. 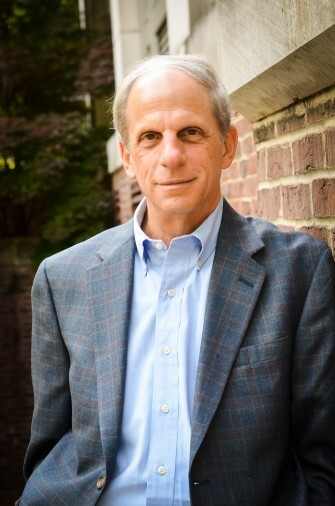 Edward Rubin is University Professor of Law and Political Science at Vanderbilt University. He specializes in administrative law, constitutional law and legal theory. He is the author of Soul, Self and Society: The New Morality and the Modern State (Oxford, 2015); Beyond Camelot: Rethinking Politics and Law for the Modern State (Princeton, 2005) and two books with Malcolm Feeley, Federalism: Political Identity and Tragic Compromise (Michigan, 2011) and Judicial Policy Making and the Modern State: How the Courts Reformed America's Prisons (Cambridge, 1998). In addition, he is the author of two casebooks, The Regulatory State (with Lisa Bressman and Kevin Stack) (2nd ed., 2013); The Payments System (with Robert Cooter) (West, 1990), three edited volumes (one forthcoming) and The Heatstroke Line (Sunbury, 2015) a science fiction novel about the fate of the United States if climate change is not brought under control. Professor Rubin joined Vanderbilt Law School as Dean and the first John Wade–Kent Syverud Professor of Law in July 2005, serving a four-year term that ended in June 2009. Previously, he taught at the University of Pennsylvania Law School from 1998 to 2005, and at the Berkeley School of Law from 1982 to 1998, where he served as an associate dean. Professor Rubin has been chair of the Association of American Law Schools' sections on Administrative Law and Socioeconomics and of its Committee on the Curriculum. He has served as a consultant to the People's Republic of China on administrative law and to the Russian Federation on payments law. He received his undergraduate degree from Princeton and his law degree from Yale. He has published four books, three edited volumes, two casebooks, and more than one hundred articles about various aspects of law and political theory. The Heatstroke Line is his first novel. BARNABY LINSCOTT, under orders from the Crown, must apprehend or kill one of England’s most elusive villains. The means to accomplish his mission are anything but clear, but his mind is resolved. The man has already murdered three government agents, and Barnaby vows he will not be the fourth, though he has little to lose. That is, until he meets the partner assigned to carry out his deadly mission. LADY MILLICENT CHANDLER has lost everything. Her beautiful Cliffside Manor has been burned, her parents, her brother Thomas, and her sister Polly all murdered. When her trusted servants bring her their suspicions that her handsome neighbor is directly involved, she knows exactly what she’ll do. She will accept his proposal of marriage. And take her revenge. He didn’t answer. He kept his gaze locked with hers, then slowly lowered his head and pressed his mouth to hers. Millicent was hungry for his kisses. Hungry for the feel of him against her. She welcomed his deepening kisses with willing abandon. She wanted him, was desperate to match his demands with the passion growing within her. She wanted him. She loved him, even though she wasn’t sure when or how it had happened. She thought perhaps it might have been when he’d first arrived at the safe house, alone and injured. Or maybe when he’d kissed her that first time. No matter when it was, she could no longer deny the depth of her feelings for him. He kissed her again, then again. His mouth opened atop hers, and she followed his lead. There was nothing he could offer that she wouldn’t accept. Nothing he might ask of her that she wouldn’t willingly give. She moved with him to the bed because that’s where she knew this night would lead her. Cool air hit her burning body when her robe and gown slid to the floor. She lay back on the bed and he came over her. His clothes were gone, as were hers, and she opened her arms to draw him to her. The feel of his flesh against hers was magical. His touch as he skimmed her body set her on fire. No matter how much he gave, she wanted more. He was the only man in the world she wanted to introduce her to the emotions that bound a man to a woman, that would make them one. He moved over her, moved in her, and carried her to a place she never knew existed. She’d known what would happen between a man and a woman, yet she hadn’t known at all. Nothing had prepared her for the entrancing journey she was taking. She rode waves with him, clung to him when he carried her to an unfathomable release, then tightened her arms around him when he leaped with her into that crystal moment. He placed his mouth over hers to muffle the cry he knew would escape her, then rode the crest until he shattered atop her. She gathered him to her and held him in her arms. She ran her hands over his body, memorizing every part of him, taking note of the contours of the body that had given her such pleasure. She knew without a doubt that he was the only man she would take unto herself. He was the only man who could ever make her feel the way she did. Laura Landon enjoyed ten years as a high school teacher and nine years making sundaes and malts in her very own ice cream shop, but once she penned her first novel, she closed up shop to spend every free minute writing. Now she enjoys creating her very own heroes and heroines, and making sure they find their happily ever after. 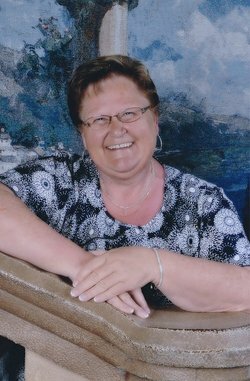 A vital member of her rural community, Laura directed the town’s Quasquicentennial, organized funding for an exercise center for the town, and serves on the hospital board. Laura lives in the Midwest, surrounded by her family and friends. She has written nearly two dozen Victorian historicals, thirteen of which have been published by Prairie Muse Publishing and are selling worldwide in English, one in Japanese, and several in German. Two are Scottish historicals. 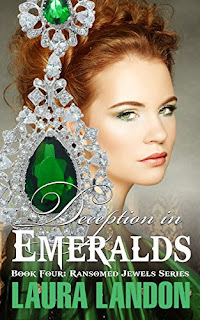 In October 2012, Laura experienced an amazing day when Amazon’s Montlake Romance published not one but three of her newest novels. Two of these have been optioned for publication in Russia and Turkey. Several are also available in German. By 2015 Montlake had published six of Laura’s Victorian historicals. 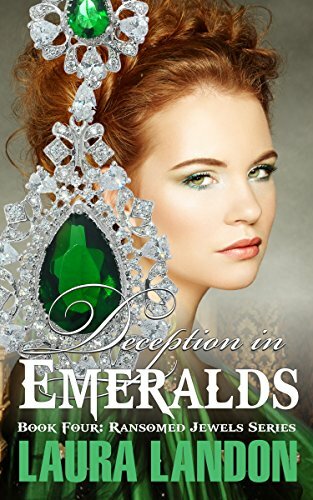 Always beautifully set and with a mysterious twist or bit of suspense, Laura’s books average over a million and a half pages a month read by her loyal readers. This book is about using modern day scenarios and situations to explain the Bible text in an easy to understand way, using words and thoughts to inspire the individual as they read. 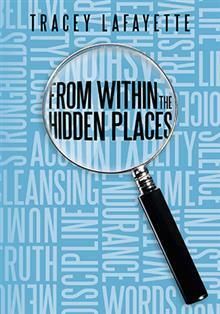 Many of the thoughts and inspiration for this book have been through having simple everyday conversations with people then going away, expanding on that thinking and conversation and then using the words and the environment around me to relate it back to the Bible. Tracey Lafayette was born in 1968 and she has three sisters, she studied at Clissold Park School in Stoke Newington, London, after leaving school she decided to become a chef. 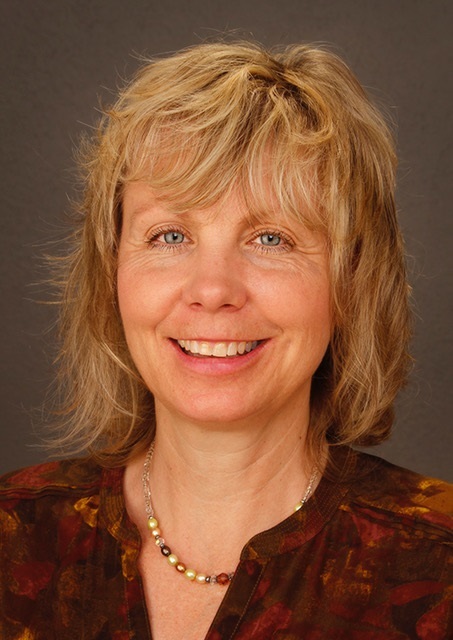 She also has experience working with young children and families. At present she lives in Birmingham in the UK. Tracey is giving away a $25 Gift Card!